Early in the morning of January 16 Supt. Douglas Coates’ body was located by rescue crews searching through the rubble of the UN Headquarters building in Port au Prince Haiti which was destroyed during the recent earthquake (January 12th 2010) there. Identification was confirmed this afternoon. At the time of his tragic death, Doug was doing what he did so well – leading an international peacekeeping operation. He was the Acting Commissioner of Operations for the United Nations Stabilization Mission in Haiti. Doug was one of 82 Canadian police officers serving in Haiti at the time of the earthquake. These men and women chose to leave the safety and security of Canada to serve the needs of less fortunate in this very challenged part of the world. In their effort to better the lives of others, Supt. Doug Coates and his colleague Sgt. Mark Gallagher willingly made sacrifices and ultimately gave their lives for this noble cause. Doug and Mark are true heroes. They will be deeply missed by all who knew them. 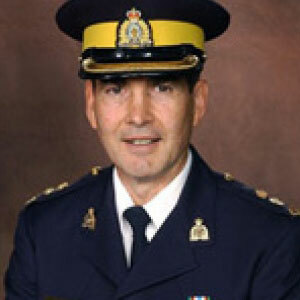 Our condolences go out to Supt. Doug Coates’ wife Lise, their children Julie, Mathieu and Luc, their family and friends.